With over 20 combined years of website development experience and two staff members with Master's Degrees in Computer Science, Duke City Software is perfectly positioned to handle your custom programming needs. We have developed software for state government, universities, private industry and charitable organizations. We offer custom software in a wide variety of applications: standalone software that provides process automation, software that integrates your website with other business functions like fulfillment systems or inventory control systems, and custom software as an integral part of your website. Duke City Software can provide any kind of standalone custom software that you require. We have created applications that read PDF files, pull out the important data and populate a spreadsheet. Daily processing that used to take several hours manually now takes only a few minutes. Relios picture files from the network - Andrew started it. Many organizations benefit from custom software that integrates the website with other business processes. Past applications have included software that reads a company's product information from the corporate database and creates a product feed in a format that the website can understand, applications that import website sales into Quickbooks and inventory control systems and order fulfillment systems. We have also created programs that produce custom reports showing website sales from proprietary shopping carts. Much of our custom software is developed as an integral part of the website. We store your data in a database and access the data based on user specified parameters. We provide forms to enter the data, or we can upload data from an Excel spreadsheet or other means. We allow users to search the data. We can also run algorithms against the data and produce custom reports. Data is output on webpages, in PDF files, Excel spreadsheets, XML pages – whatever you need. Examples of our website custom software are below. Our goal is for you to be a happy customer. Most of our customers come to us from word of mouth referrals and remain satisfied long term customers. We'd love to talk to you about your custom software needs. Please call (505) 821-1522 or email general@dukecitysoftware.com. Insight Lighting has been one of our more extensively customized projects. Their website is custom designed from the slideshow, marquee and markets section overlay on the homepage through the Product Family document library in the downloads section and fully customized search: all in order to show them in the best possible light. NMHIA wanted to be able to accept credit card payments online for insurance premiums. We took an off the shelf shopping cart and customized the interface to be specifically what NMHIA wanted; a standard shopping cart would not have sufficed due to the very specialized nature of their application. We also created the software needed to interface with their payment gateway since that software did not exist already. 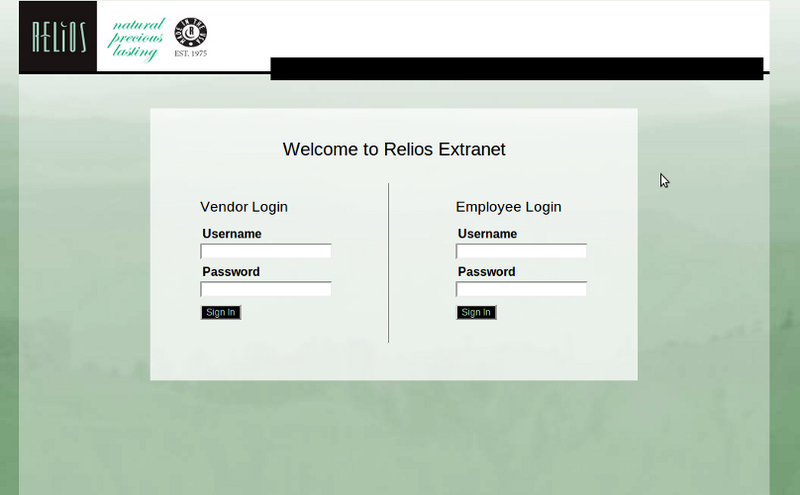 We created an intranet application for the Relios Corporation to help streamline a number of internal processes. This includes making a material intake form into a paperless operation. This has reduced the amount of paper and time needed to complete the intake process. There is also the capability to track particular shipments of materials through the whole process and communicate with vendors regarding any changes needed and the status of their shipments. In the case of needing hard copies of the online forms, the system is able to convert the online form to a PDF that can be emailed or printed out depending on the need. In addition to this, there is also an application which incorporates the color quality system for the various gems used in the jewelry. This system has removed the need for quality control employees to each have a several hundred page color control manual for all of the different gems. Rather, the manual is hosted completely online so employees are constantly up to date and can make any changes needed to the system completely in real time. Finally, Duke City Software has created custom programs that Relios uses to interface with their different sales systems and combine them into a unified system and creates reports and other outputs from these diverse inputs. 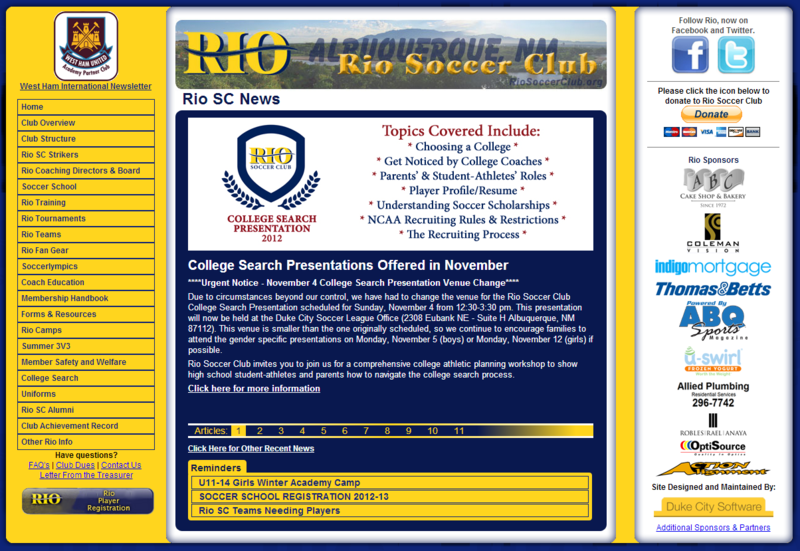 We redesigned Rio's website in Fall 2012 to bring it up to date and make the website more interactive and better able to meet the needs of the staff and families involved in the club. 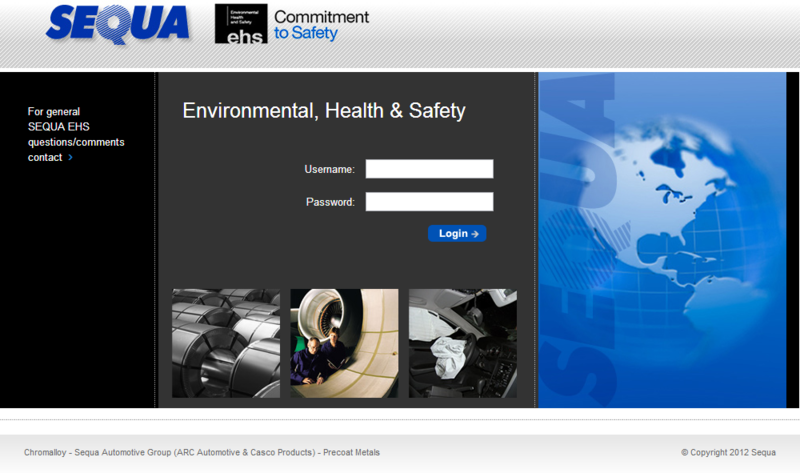 This redesign included adding a number of custom software elements to the site. The biggest of these are the dynamic redirection and redesigned news sections. Shamrock Dental came to us because they needed to be able to better share information with their clients about warranties and repair work performed. We created a database application for them that allows a user to put in the serial number of a piece of equipment that Shamrock has repaired and see all repairs ever performed on it as well as any relevant warranty information. The system is incredibly easy to use, both from an end user's and an administrative perspective. We will build on our library of custom software routines to provide you with a custom solution in the most efficient manner we can. We can accept data in any input form you have, store it in a database, process the data, run reports and produce any output you require. Our fees are $125 per hour for custom software.